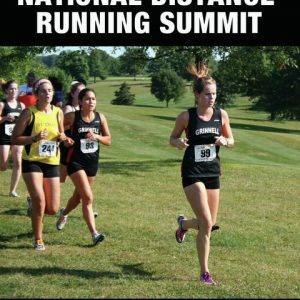 Get one-on-one middle distance training from US Olympic Coach Rose Monday! former University of Texas at San Antonio Head Cross Country Coach; 1985 NCAA Champion in the 800M (indoor)2012 Women’s Olympic Distance Coach Rose Monday takes you step-by-step through the training program that, not only made her a champion athlete, but has proven to be a primary factor in the re-emergence of women’s distance running in the United States. 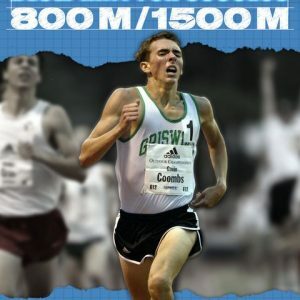 With the help from the talented Maggie Vessey (two-time USA Outdoor Champion, 2005 NCAA Outdoor runner-up, and NCAA All-American;), you will get an inside look at one of the greatest minds in middle and long distance training in the sport today. Each phase has its own drill set used to enhance the runner’s ability and to prepare them for a championship season. Monday uses an easy to follow approach and technique breakdown of each drill as it is being explained and demonstrated.Beginning with a scientifically designed stretching routine, Coach Monday introduces a dynamic warm-up with over a dozen exercises that can implemented into your program, including a special series of drills designed to prevent shin splints (something every coach and athlete can appreciate). Coach Monday includes her ideas on practice, race tactics, and sports psychology as they affect the physical demands of the 800m/1500m events. Monday stresses that the athlete must know and understand their own body, and they must have a good working relationship/partnership with their coach.This is by far one of the best videos for novice coaches or high school-aged athletes who want to learn from one of track & field’s master coaches. 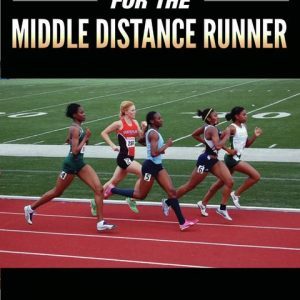 With a very clear and informative style, Coach Monday helps take the mystery out of middle distance training.